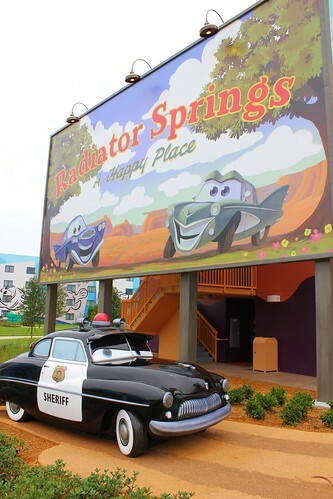 In the days following the big grand opening celebration of Cars Land at the Disneyland Resort in California, Walt Disney World in Florida quietly debuted their own version of Radiator Springs at Disney’s Art of Animation Resort. 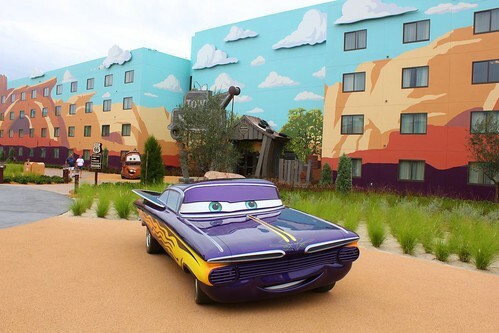 Less than three weeks after the new hotel’s first wing opened, themed to Finding Nemo, Disney has begun welcoming guests to a wing devoted to Pixar’s “Cars” franchise. 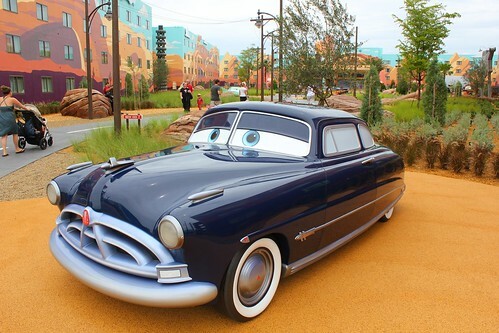 Taking on a notably different tone than the vibrant Finding Nemo wing, the new Cars wing embodies the feeling of that sleepy little town made famous by the “Cars” films. 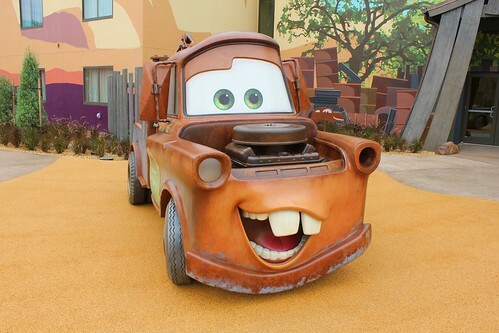 Though it may not feature exciting rides or unique foods as Cars Land does, fans now have a chance for a different type of experience outside of a theme park, with an opportunity to stay at the Cozy Cone Motel, lounge in and around its pool, take pictures with familiar characters, and even visit one iconic “Cars” location completely absent from the Disney California Adventure expansion. 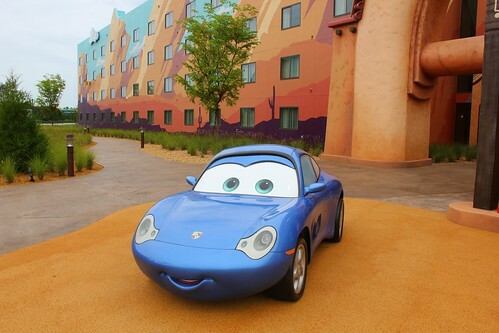 Buildings within the Cars wing of Disney’s Art of Animation Resort are painted to resemble the vast mountain ranges of Radiator Springs’ Ornament Valley, with blue sky murals topping each. When not looking directly at these buildings, the feeling of being within a valley is evoked while wandering down the winding path between them. 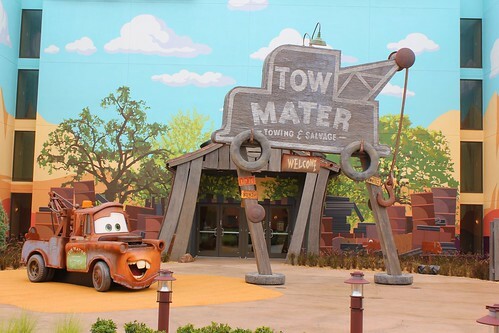 Along the way, “Cars” characters are positioned to “look at” and welcome hotel guests, with no barriers preventing close-up photo ops. 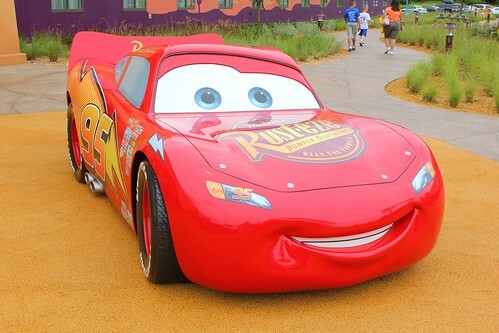 Full-size “Cars” characters featured at Disney’s Art of Animation Resort are Sheriff, Doc Hudson, Ramone, Flo, Luigi, Guido, Mater, Fillmore, Sarge, Salley, and Lightning McQueen. 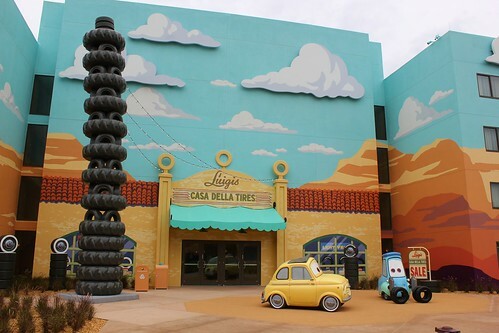 Serving as the entrance to two of the three Cars wing buildings are Luigi’s Casa Della Tires and Tow Mater Towing & Salvage. 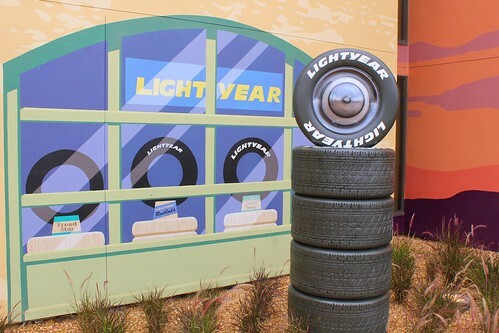 Though they don’t house rides like they do in Cars Land, the entrances are rich with detail and offer two of the new area’s best photo spots. 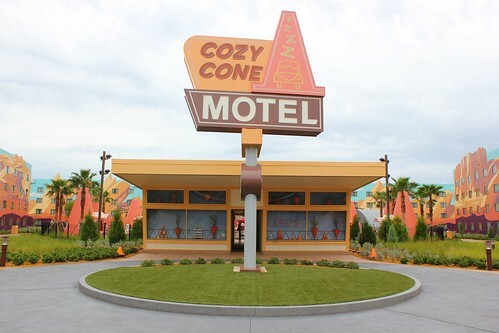 Just beyond these two entrances sits the Cozy Cone Motel, marked by a giant sign rotating overhead. 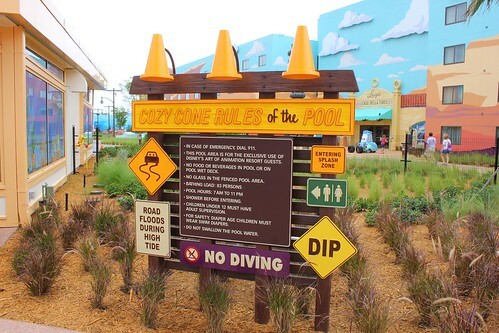 At Disney’s Art of Animation Resort, guests are invited to relax by the Cozy Cone Pool, tucked away just behind the “lobby” building. 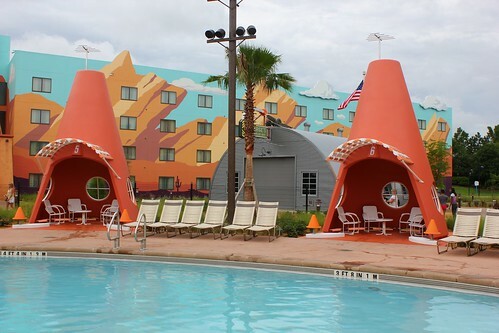 The Cozy Cone pool is far smaller than the Big Blue Pool in the hotel’s Finding Nemo wing, but also far quieter. 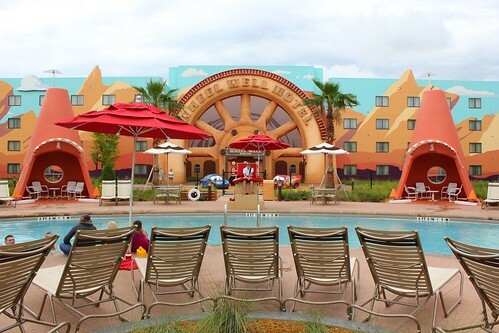 Circled by oversized orange cone cabanas and surrounded by painted mountains, guests staying at Disney’s Art of Animation Resort can turn to this arched pool for rest and relaxation away from the nearly non-stop music and activities present in the hotel’s main pool. Cone cabanas are free for anyone at the hotel to use with no rental required. They offer a poolside view in the shade. 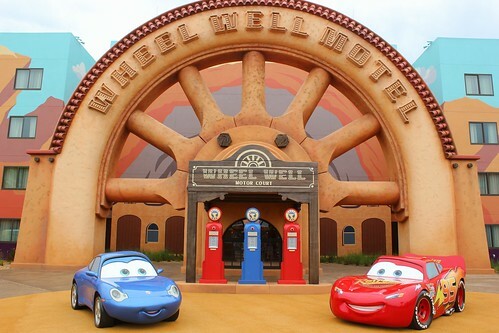 Opposite the pool resides the biggest feature that’s entirely unique to Disney’s Art of Animation Resort, an instantly-recognizable structure from “Cars” that never found a place in Cars Land in California: the Wheel Well Motel. 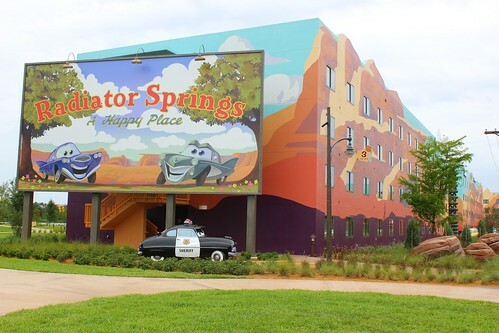 This picturesque entrance to the third Cars wing building features Lightning McQueen and Sally, fresh from their drive through the countryside, parked in front of the cleaned-up motel as seen near the end of the first “Cars” film. 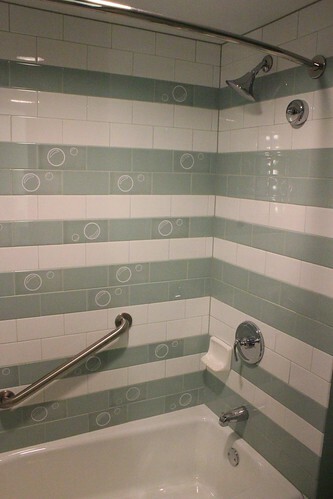 It’s easily the most impressive and unique sights in this wing of the hotel. 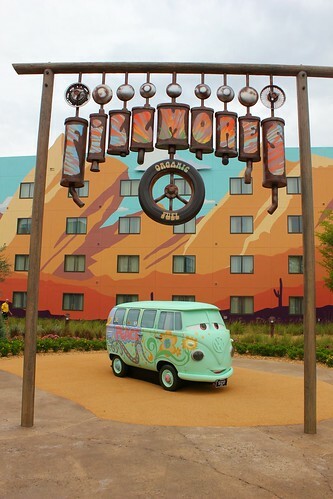 Two more “Cars” characters flank the Wheel Well Motel, Fillmore and Sarge, each with his own familiar sign. 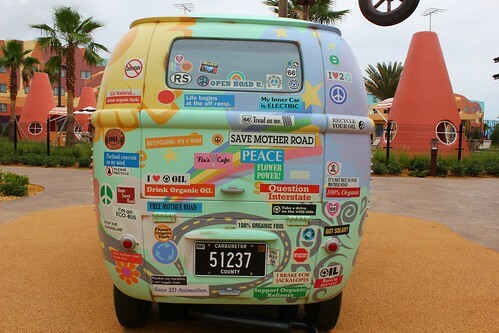 Fillmore is plastered with bumper stickers, many amusing for guests who take the time to read them. 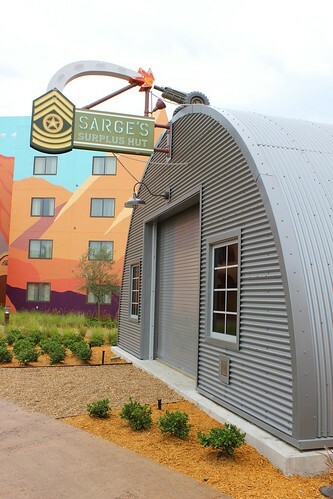 Sarge is stationed outside his Surplus Hut, a large metal building that isn’t meant for guests to enter, hiding hotel facilities within. 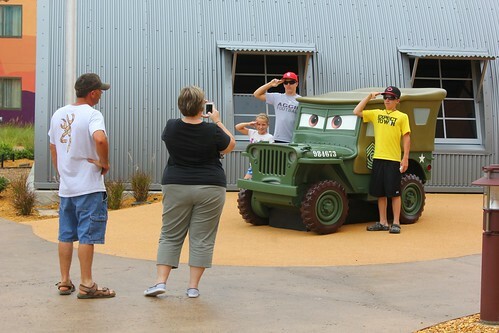 But guests are welcomed to salute with Sarge. 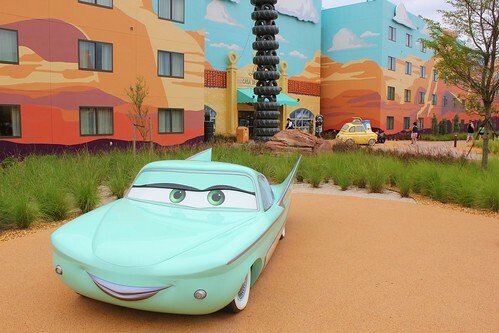 The outside of the Cars wing buildings are decorated with animation sketches of various “Cars” characters. 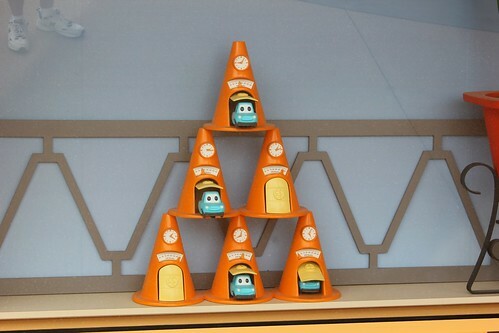 Inside, the Cozy Cone theme takes over, putting guests in the “Cars” hotel, with shades of orange and cone accents everywhere. 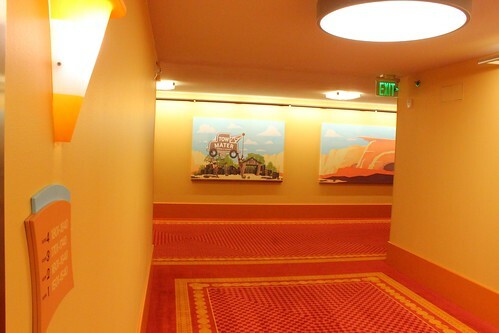 Artwork lines the hallway walls leading to the new rooms. 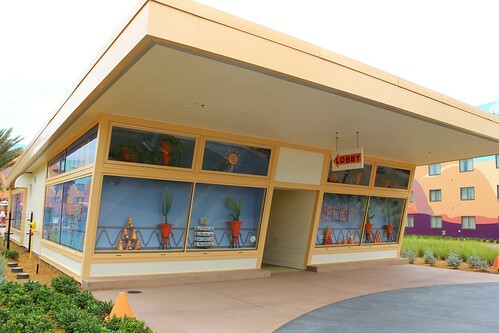 The Cars wing features only family suites, identical in layout to those in the Finding Nemo wing. 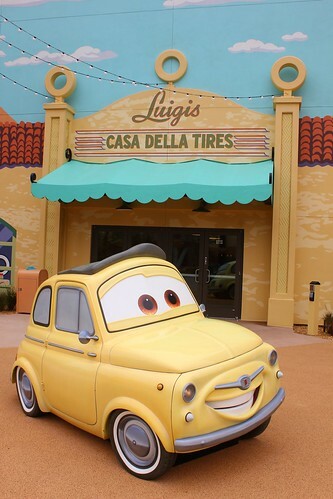 But unlike the somewhat overbearing bright blue color that dominates the Nemo rooms, Cars rooms are a bit easier on the eyes, with shades of orange, yellow, and tan. 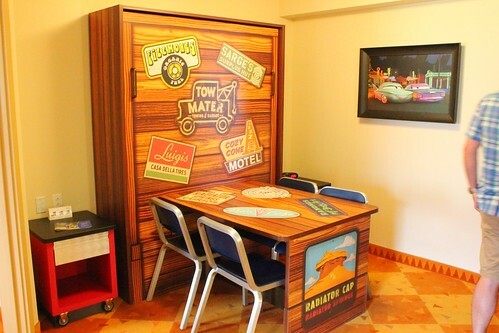 Upon initially entering, a table decorated with “stickers” representing businesses around Radiator Springs turns into a bed, allowing each family suite to sleep up to 6. 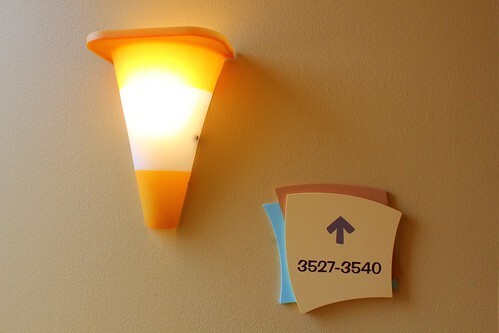 The full bedroom immerses guests into the Cozy Cone theme, complete with cone lamps (soon to be available in the hotel gift shop) and an orange and yellow comforter sporting the Cozy Cone name. Like the Finding Nemo wing, this heavy comforter looks great but is ultimately not comfortable, needing to be thrown off the bed when it’s time to sleep. 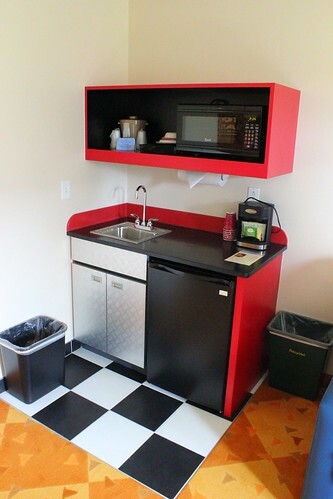 The Cars wing’s living room adds more car-themed decor, from its sleeper sofa to toolboxes housing a TV and kitchenette. 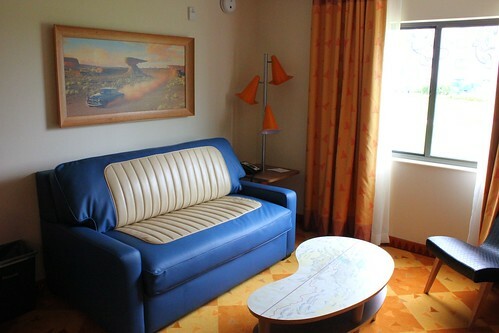 The plush sofa is more comfortable than the harder ones found in the Finding Nemo wing and the coffee table (decorated with a Route 66 map) is a more useful piece of furniture than Nemo rooms’ hard foot stools. 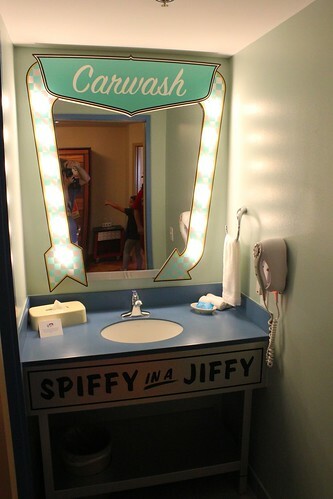 But while the Finding Nemo wing compliments its vibrant rooms with sleek, modern, and subtle decor in its bathrooms, the Cars wing offers whimsy putting guests into a retro “car wash,” with bubbles continuing into the shower. 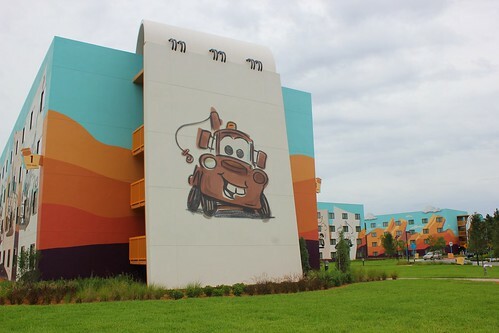 Guests staying at Disney’s Art of Animation Resort now have two distinct wings to choose from, with notably different amenities at each. 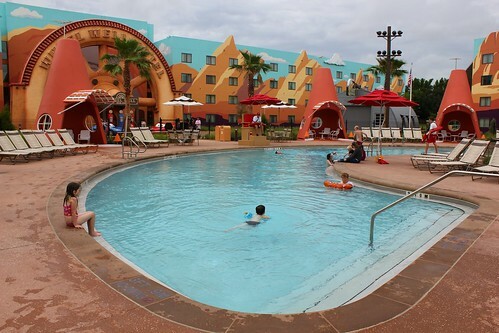 The Finding Nemo wing offers larger-than-life colorful fun through its Big Blue Pool and rooms, though the vibrant hues and non-stop activities may both be too loud for some travelers. 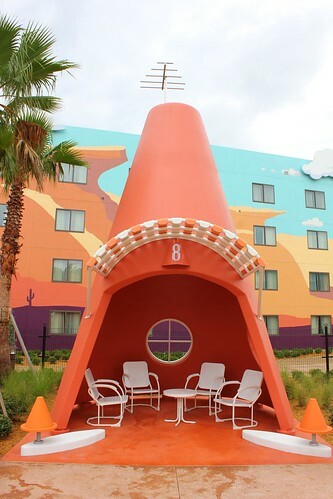 The Cars wing presents a much more laid-back environment, mirroring the sleepy town of Radiator Springs inspiring the area, with the Cozy Cone pool and rooms appealing to the quieter visitor. 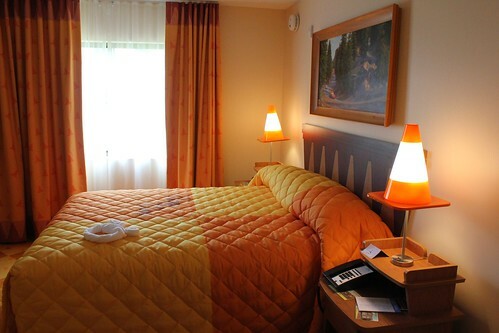 Guest are certainly free to explore both areas but can request a wing of the hotel when making a reservation and again while checking in – but no guarantees are offered. 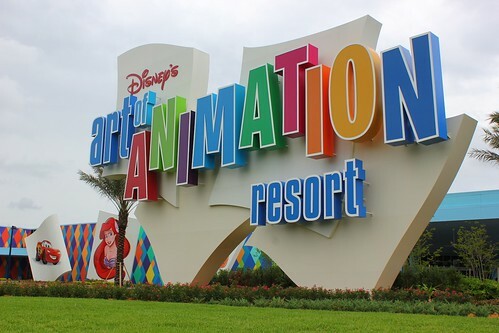 Two more wings are still on the way for Disney’s Art of Animation Resort but won’t be opening as close together as the initial two have. 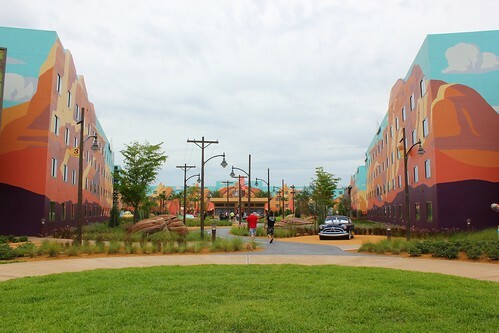 The Lion King wing, featuring more family suites, is scheduled to open on August 10, followed by The Little Mermaid wing, featuring standard hotel rooms, on September 15. I can’t wait to visit this resort. Every time I visit I spend a day or two resort hopping. I will probably take an entire day to walk around this entire resort. It looks great! Great post! Thank you! Any idea on how difficult it is to transform the couch into a bed? Does one have to add bedding each night? Also, I would live to hear how the shuttles from this resort are. 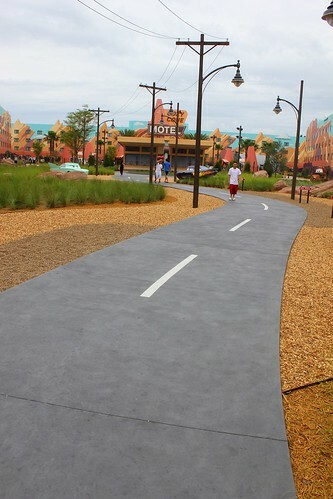 Are the shuttle stops for this resort the furthest walk from the parks as is often the case with the other value resorts? I didn’t try to pull out the couch and I’m not sure about bedding for it. Sorry. 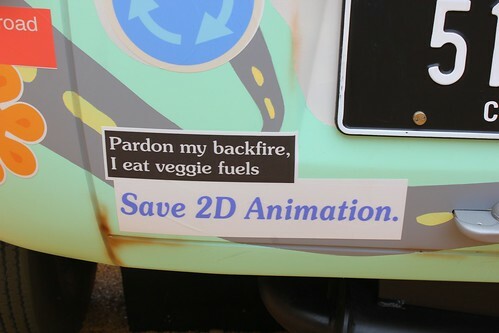 Art of Animation has its own bus system to/from the parks. I stayed at this resort with my family in Sept 2012. All the beds..the couch and fold down were easy to transform. Sheets and blankets stay on each bed as they are put back as a couch or table area. 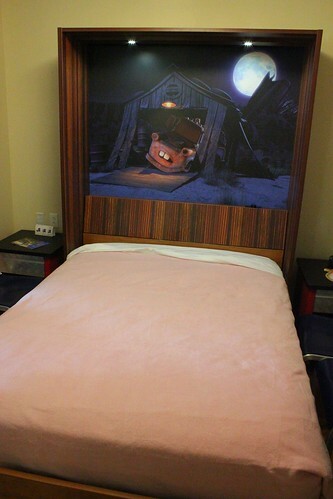 So no need to make bed every night. We left room every morning..housekeeping came in and re made beds and folded them back to couch etc. The shuttle service was good…every 15 mins or so a bus came for each theme park so you were never long waiting. 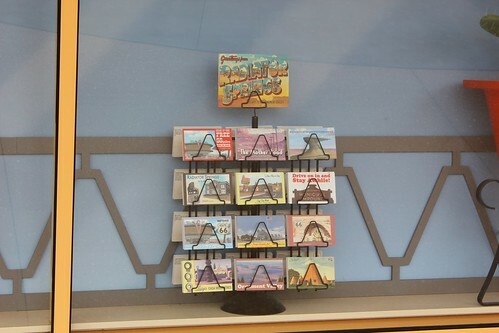 I highly reccommend this resort…my kids loved it.. Check for any “hidden fees” and pick the one that best fits your budget. The best thing to do is look for a web host that can provide you reliability. great to sign up for shared web hosting. 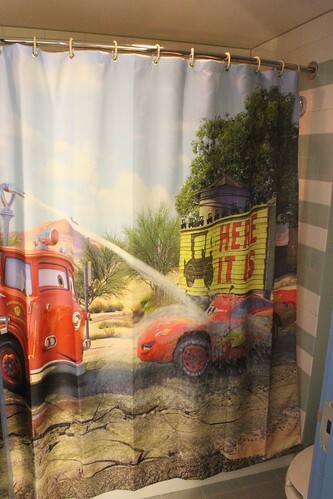 Hello, my family of four is currentlydebating between the cars and the nemo suite. 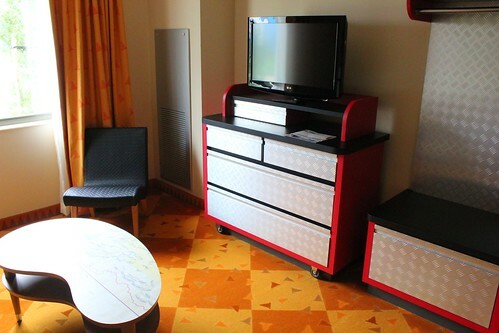 Just wondering for those who have stayed- are the pull out beds comfortable? 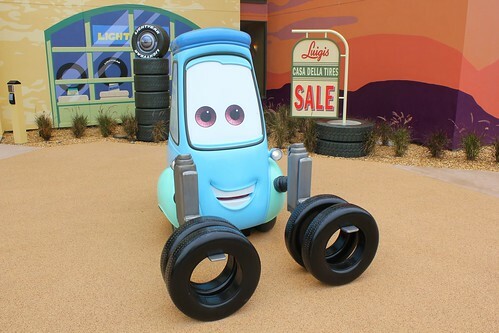 Do they have rollaway beds available for the Cars Suite? Awesome! 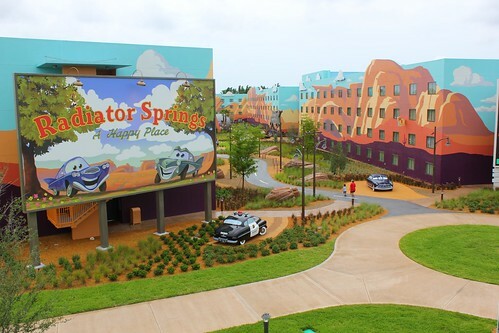 That’s is what we are staying at AOA Cars Wing for December 3-6 2015!